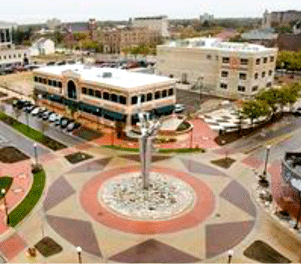 Our priority is to assist local businesses and attract other businesses to the Muskegon area. venture capital. Existing companies, recovering from the recession, need equity capital as well. This is where we come in. We are an Angel Investor group located in Muskegon. of the solution to our economic challenges. Members purchase membership interest units, paid per year over five years. solution to our economic challenges. businesses—companies on the first rungs of the growth ladder. Traditional business financing sources have restricted funding since the recession. Banks’ underwriting criteria have tightened and personal sources have reduced funds available. Angel investors have been filling this financing gap. In 2010, angel investing accounted for almost as much money invested annually as all venture capital funds combined, but into more than 60 times as many companies. Equally important to businesses is mentorship, access to intellectual capital and connections to experienced business professionals who can help them develop their talents. Historically, angel investment has been a one-to-one relationship with the entrepreneur seeking capital funding from one individual investor. This is extremely inefficient and restricts entrepreneurial growth. As a group of business and economic development leaders committed to entrepreneurial expansion, we have organized an Angel Investor group in Muskegon. While investment returns is among our goals, our priority is to assist local businesses and attract other businesses to the area. Targets will be startups and businesses that need capital infusion for growth. Our focus is on advanced manufacturing, food processing, and technology in the Greater Muskegon area. However, investments in manufacturing, distribution and service businesses are also sought. Investments will be focused on businesses in the Greater Muskegon area. Particular focus will be on advanced manufacturing, food processing, and technology. However, investments in manufacturing, distribution and service businesses are also sought. Targets for investment would be startups and existing businesses that need capital infusion for growth. We anticipate funding two to three businesses each year with investments ranging from $100,000 to $200,000. Do you think we can help your business? Take the first step and submit your plan. We require a business plan or, at minimum, an executive summary, to consider your venture for investment. If you do not have one of these documents, we will refer you to the Michigan Small Business & Technology Development Center for assistance in developing it. Historical and projected financial statements are also required. MUSKEGON, Mich. — Grand Valley State University’s Michigan Alternative and Renewable Energy Center will host a news conference announcing a new Muskegon investment group formed to advance the development of business start-ups and mature companies in the Lakeshore area. Remarks from the principals of the organization, Mike Olthoff of Nichols and Larry Hines of Hines Corporation, will begin at 9 a.m. in the seminar room, located on the upper level of the building. 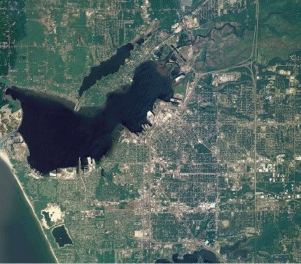 The idea of an Angel group in Muskegon began in 2012 when individuals in the business community decided Muskegon needed its own Angel investment group rather than relying on investment groups elsewhere. More than 20 initial investors are participating, with some members located beyond Muskegon County. Participants agree to invest $125,000 over five years; when fully capitalized, the organization’s financial assets will total more than $2.75 million. Mike Olthoff and Larry Hines, with leadership assistance from John Pridnia of Rehmann, Paul Jackson of Warner Norcross & Judd and Eric Seifert of Grand Valley State University, spearheaded the effort. The Muskegon Angels will focus on local growth, investment and assistance, specifically in the areas of advanced manufacturing, food processing, technology, and water-related innovations and businesses. The organization will also mentor the entrepreneurs they support. The initiative will receive administrative support from, and will be based at MAREC. Technical assistance will be provided by Kevin McCurren, director of the Center for Entrepreneurship and Innovation at GVSU, with coordination provided by the MAREC based Michigan Small Business and Technology Development Center staff. Muskegon region entrepreneurs interested in presenting a proposal to the Muskegon Angels should contact Eric Seifert at (616) 331-6906. Angel groups typically fill a gap where the entrepreneur has exhausted all resources but traditional bank financing is not available or is very limited. Angel investor groups step in to assist at a time when the young business has proven itself to be viable and needs financing for growth. There are many angel investment groups around the country and in the state of Michigan, including the Grand Angels of greater Grand Rapids.